The North Beach Master Plan Steering Committee this week heard progress reports on several initiatives that came out of the plan and then set priorities for what they’d like to see Miami Beach Commissioners focus on next. Mehrabi said what attracted his firm to North Beach is the Town Center concept laid out in the Master Plan. With that in mind, he put together several adjoining sites including the City National Bank building on the south side of 71st Street and the surrounding blocks between Byron and Harding Avenues. Plans include a specialty grocery store on one side and retail along 71st Street. “Grocery stores are a good draw,” said Mehrabi. “To create a Town Center, it’s good to have a mix of retail that draws folks there.” While he recognizes that everyone loves Whole Foods, current business issues may preclude them from expanding to the site so he is speaking with four different operators about their interest. The idea behind the 71st Street retail according to Mehrabi is to provide 20-25 smaller spaces that are more affordable and can be used as “incubator space and to attract local businesses .. We’re hoping that will allow local businesses to thrive,” he said. As part of the development, the owners are asking the City to convey two city-owned parking lots in exchange for a greater number of public parking spaces in the area. Kasdin is hoping to be before the Commission in July for referral to the Planning Board that same month, then back to Commission for a zoning change to allow an extra ten feet in height for the parking garage and conveyance of the parcels. Details on the proposal here. North Beach Yard: The Steering Committee discussed next steps for the North Beach Yard concept and the upcoming community meeting to discuss what the neighborhood wants from the space. The community meeting to further discuss the concept will be Thursday, June 8 at 6:30 pm in the North Shore Youth Center, 501 72nd Street. The Steering Committee prioritized as its short-term goals entrance signs for 71st and 87th Streets; landscape / streetscape for 71st, 72nd, and 81st Streets, the West Lots and Ocean Terrace; and finishing / ensuring funding for the North Shore Open Space Park and Altos del Mar Park. 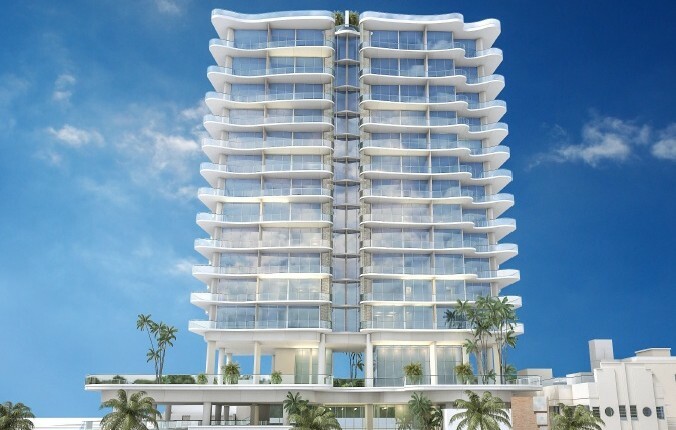 As its mid-term goals, the Committee prioritized the 72nd Street Garage and an urban design for the area, the Normandy Circle project, a parking garage for Biscayne Beach, and 75th Street redevelopment (moving the library and housing Ocean Rescue with potentially other uses on the oceanfront lot). The Committee deferred discussion of allowing lot aggregation for the Housing Authority to create additional affordable housing units in the conservation district until its next meeting at the end of June. The proposed design guidelines for the area do not allow for more than two lots to be aggregated, three if parts of historic buildings are preserved. All of the items as presented in the North Beach Master Plan can be found here.